Heartworm Resistance – Is it a Problem? You may have heard about the idea of heartworm resistance: the existence of cases where dogs have developed heartworm infections in spite of seemingly being dosed appropriately with heartworm prevention. 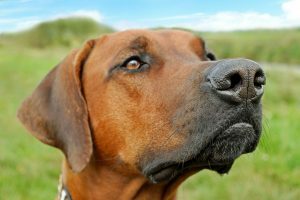 In the preliminary years of suspicion about heartworm resistance, it was unclear whether resistance was truly a problem. We now know that heartworm resistance does exist. Inconsistent dosing of preventive medications: Obviously, if an owner forgets to administer the heartworm prevention on a regular schedule, there are gaps in time where the animal was not protected against heartworm infection. But sometimes the inconsistent dosing is a little bit harder to detect. Maybe the owner truly did dose appropriately, and then the animal went outside and vomited the pill back up. Or, if it was a topical prevention perhaps the animal was bathed too soon or went swimming right after dosing. Or how about the scenario where the pet has gained weight since the prevention was purchased? If the pet has gained enough weight they might not be getting a high enough dose of prevention each month. Imperfect heartworm testing: In order to understand this explanation, you have to recall how long it takes for a heartworm antigen test to turn positive after an animal has been infected with heartworms. It can take about 7 months. Even more than that, it has been found that if an animal tests ‘negative’ but they in fact have a prepatent infection (immature infection that is not showing up antigen positive yet), and then that animal is placed on heartworm prevention, the prevention may delay the development of the heartworms into adults – so it can actually take more than 7 months for the antigen test to show up positive. This leads to the conclusion that, especially for dogs with unknown heartworm prevention history, they actually need to have 3 negative tests (initial test, a test 6 months later, and a test 12 months later) before we can feel most confident about the heartworm negative status. (You can visit last week’s blog to learn more about reasons for false negative heartworm test results). Importantly, it is still thought that the majority of heartworm infections develop because animals were not receiving heartworm prevention, or the animals had a lapse in heartworm prevention. Missing just one month of prevention puts the animal at risk. High mosquito burden may make it more difficult for the macrocyclic lactones to be effective (so reducing mosquito burden may be helpful). Genetic markers exist that allow identification of the isolates that are causing macrocyclic lactone resistance. Resistance to each of the four macrocyclic lactone molecules has been identified. (The macrocyclic lactone class of drugs is the overarching class of drugs that includes the avermectins and milbemycins – which make up the active ingredients of the different heartworm preventives). So it’s not just one brand of heartworm prevention that has been implicated in the problem of heartworm resistance. Resistance in heartworms is hereditary. The best thing that pet owners can do to prevent heartworms is to continue to administer heartworm prevention at the product’s recommended dosing frequency. So set reminders on your phone, put stickers on your calendar, or set up email reminders through the heartworm product’s company – whatever it takes to help you remember! And, if your pet vomits after oral preventive dosing or gets wet too quickly after a topical prevention is applied, call us so we can help you decide whether another dose should be given. Heartworm Preventive Resistance: Is it Possible. American Heartworm Society. Heartworm resistance: What we know (and what we don’t). DVM360.com. January 5, 2018.